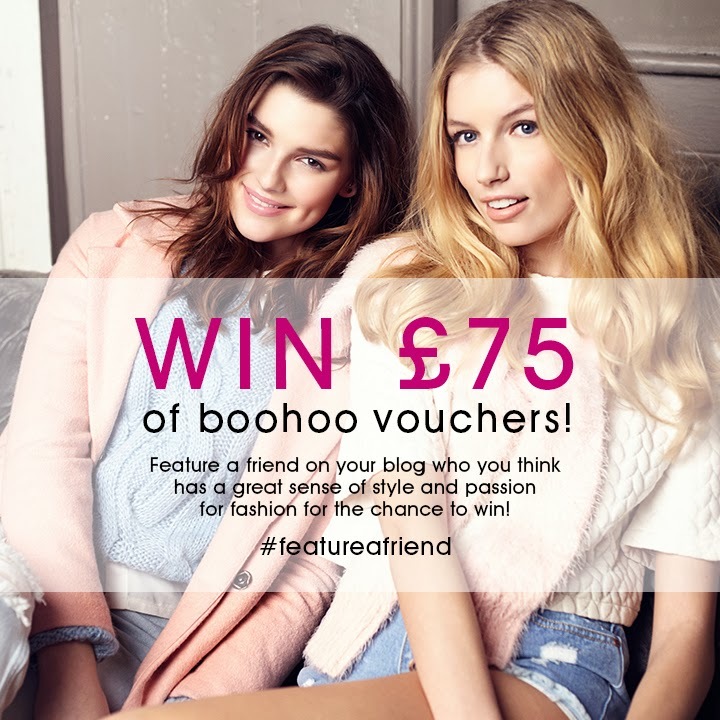 Recently Boohoo.com contacted me about their newest blogger competition. The brief was to create a post about you and your best friend with great fashion sense and style. I was really excited about this competition because it's different to most of the other competitions I've entered before, so it was no doubt I'd be entering; Especially with such a great prize to win! 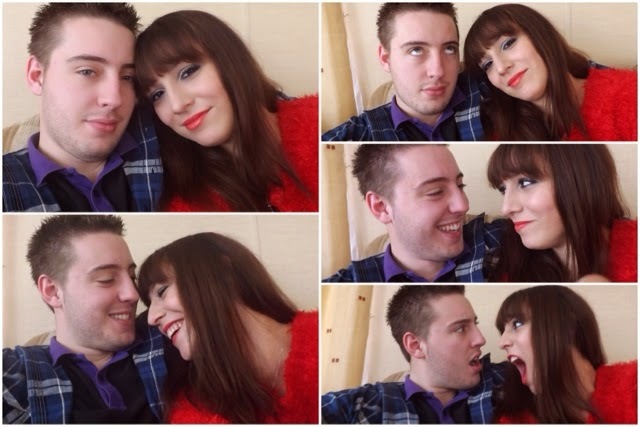 I have one person in the world who brings out the best of me, and who makes me happy every single day since our first date back in December 2010. This one person is not only my boyfriend, but my best friend John. At our last holiday in our caravan at St Margaret's Bay, Kent. Being silly and loving every minute together! I never thought an old school aquaintance would soon be my partner in crime as well as the person I am head over heels in love with. John and I have done more in three years than I have in my 21 years before we became a pair, and it's the same both ways. John had never been a fan of travelling OUT of the country and I wasn't a fan of travelling IN the country. And after a couple of chats about the places we'd been before, and places we wanted to go, we found a shared love for travel, and opened each other's eyes to all the things we could do in the UK and abroad. Since we got together 3 years ago, we've been to 5 different countries, and been on about 10 different holiday breaks in and out of England. We've seen Pandas, met Penguins, saw Turtles in the wild, walked along the most beautiful beaches, quad biked the length of half of Zakynthos, and so much more. The thing is, is that there is still so much more we want to do, like travel America, visit Brazil, explore China and take lots of mini city breaks in Eastern Europe. Our best adventure yet is most probably Edinburgh, and I'm sure he'd agree. His silly girlfriend might have let us get on the wrong train, leading us to walk a good few miles back to our hotel! A little bit of banter and we were both creasing up with laughter on our long but lovely walk back! We also visited the local zoo too and I finally got a glimpse of my most favourite animal, The Giant Panda. We also took a trip up to Edinburgh castle to enjoy the local history and a walk through the old town, and it just completed it all for for a relaxing city break. And this is why I think we deserve to win the £75 voucher. Being best friends as well as a couple, we never get bored of each other and love adventuring and sharing new experiences together! And with travelling, we like to do it in style! John has a great sense of style and has even got into wearing jumpers with his polo collars sticking out, which looks great on him! And when it comes to fashion related gifts, he's got great choice and never ceases to amaze me when he gets me something that's me all over! Everyone buys a wardrobe of new clothes every season, and we're no exception. Me and John go on so many adventures, and winning the voucher means we still get our new seasonal wardrobe to take on our travels, and then spend what we'd save instead on going somewhere new from our list of places to go! We're thinking a small city break and a trip somewhere in Britain this year since we're now saving up together. We haven't decided but I'm sure we'll have a great time no matter where we go. Maybe Amsterdam.... Thoughts? You can enter the competition too! Just blog about you and your best friend and use the hashtag #featureafriend!